« Better out than in? 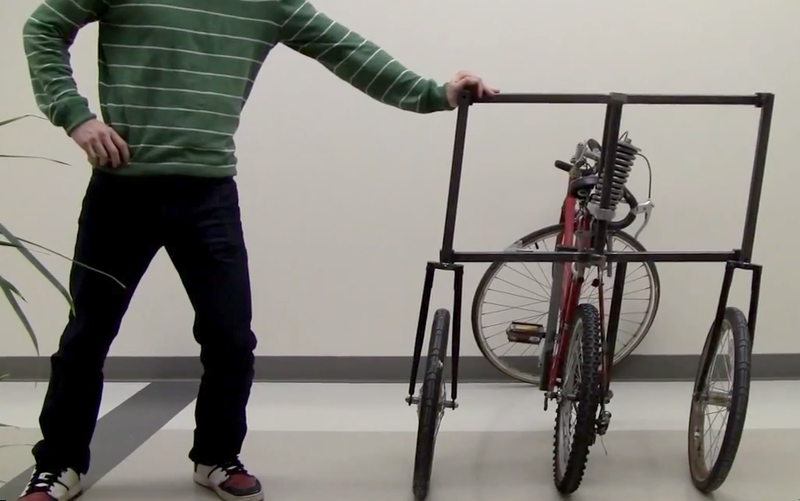 Why does a moving bicycle stay upright? It seems a simple question but, as yet, nobody has been able to answer it exactly. Scientists are getting closer but mystery still surrounds the precise way geometry, mass, gravity, velocity and gyroscopic forces combine to keep an articulated two-wheeler coasting along, even when there’s no rider. Now one expert of bike stability, Professor Andy Ruina of Cornell University in Ithaca, New York, has been discussing a curious finding that adds a little more to our knowledge. Last year he presented it to a quiet meeting in Japan. This month he repeated it in the US. If you weren’t at either, here’s the gist. 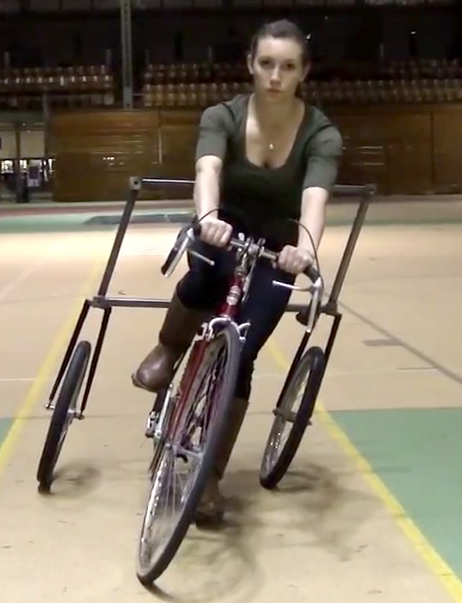 First, his students built a tricycle, with one wheel at the front and three at the back. Like most tricycles, the front wheel steers. Unlike most tricycles, there is an adjustable suspension spring for the rear set of wheels. It’s not a suspension spring to absorb vibration. Instead, it can be adjusted to allow the tricycle’s rear wheels to lean into the corner, in the same way that the rear wheel of a bicycle leans in. When the suspension spring is given complete flexibility, the rear wheels tilt as the rider leans into the corner, exactly like a bicycle. When the suspension is locked to rigid, the rear wheels are locked upright and the tricycle corners exactly like a tricycle. 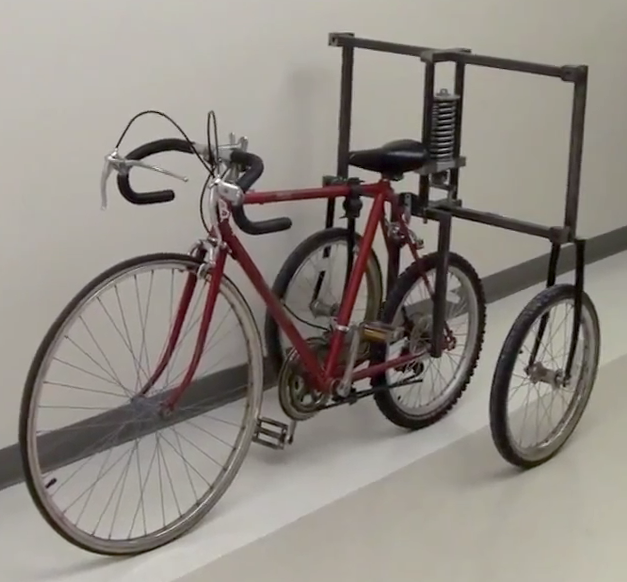 That’s why Ruina has nicknamed this hybrid machine as a “bricycle” (not to be confused with the energetic Bricycles cycling pressure group in Brighton UK). The weirdest thing happens, though, when the suspension is adjusted somewhere in between being being totally flexible and being locked rigid, at a critical point where it counterbalances the forces created for steering. At this setting, the suspension eliminates the effects of gravity. It becomes an anti-gravity bricycle. When the bricyclist tries to corner, by turning the front wheel and/or leaning towards the centre of the curve, the bricycle does not respond. It will not change direction. It just keeps on going straight on. So, by switching off gravity, it’s impossible to alter course. What does this clever experiment reveal? 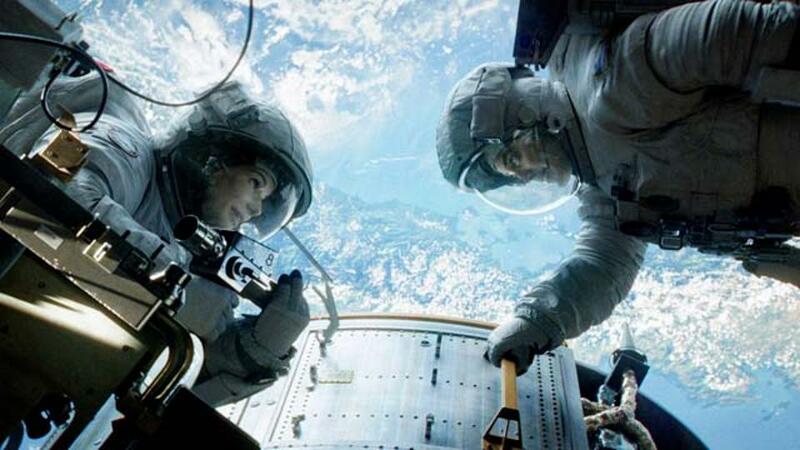 Well, now we know that, as cyclists, without gravity we would be fated to riding forever in one direction. If we wanted to change course we’d have to stop, dismount, pick up our bicycle, turn it and start off again. Our bicycle would be as manoeuverable as a train that’s gone off the rails. We may curse gravity when we’re riding uphill but, from now on, we should give gravity due praise every time we steer. *I first stumbled across an abstract of Professor Ruina’s paper and tweeted it in January 2014, later that month he kindly engaged in a Skype conversation. Since then, he and his team have posted an explanatory video of the bricycle in action, with a full explanation of the physics at work. It’s well worth watching – several times! This entry was posted on 16/03/2014 at 2:27 pm and is filed under Balance, Control, Physics, Stability, Steering. You can follow any responses to this entry through the RSS 2.0 feed. You can leave a response, or trackback from your own site. but surely the act of turning the handlebar would change the direction? Is there video of this? The video (see link in the final, italicised paragraph above) shows the anti-gravity bricycle cannot be steered. The voice-over should explain why.